The work will be led by Ann Gates, Ph.D., professor and chair of UTEP's Department of Computer Science, who recently was named a recipient of a National Science Foundation (NSF) grant worth $9,900,000. Gates is one of a number of collaborators from UTEP who work with counterparts at other institutions and organizations to make up the Computing Alliance of Hispanic-Serving Institutions (CAHSI). CAHSI will serve as the lead partner in a collaboration through NSF's Inclusion across the Nation of Communities of Learners of Underrepresented Discoverers in Engineering and Science (INCLUDES) program. NSF INCLUDES is a comprehensive effort to enhance U.S. leadership in science and engineering discovery and innovation by proactively seeking and effectively developing science, technology, engineering and mathematics (STEM) talent from all sectors and groups. The alliance's vision is to ensure Hispanics comprise 20 percent of graduates in computing disciplines, nationally, by 2030. "We are grateful and pleased to be a part of this NSF initiative," Gates said. "NSF INCLUDES recognizes the importance of inclusion and equity as a means of advancing discovery. We cannot advance research unless we are inclusive in who contributes to research efforts. We are now poised to help further diversify the workforce. Our efforts will lead to innovation because we're involving students and faculty who provide unique perspectives to solve problems that require computing and technology knowledge. Perspectives can be based on gender, ethnicity, culture, socio-economic status, and other life experiences." CAHSI's goals align with the five characteristics of an INCLUDES Alliance Program for achieving impact and fostering collaboration – vision; partnerships; goals and metrics; leadership and communication; and the potential for expansion, sustainability, and scale. The national alliance will establish regional hubs throughout the country that will incorporate diverse stakeholders from two-year colleges, four-year universities, K-12 stakeholders, nonprofits, industry, governmental agencies, as well as students, faculty and staff who work with students in computing fields. 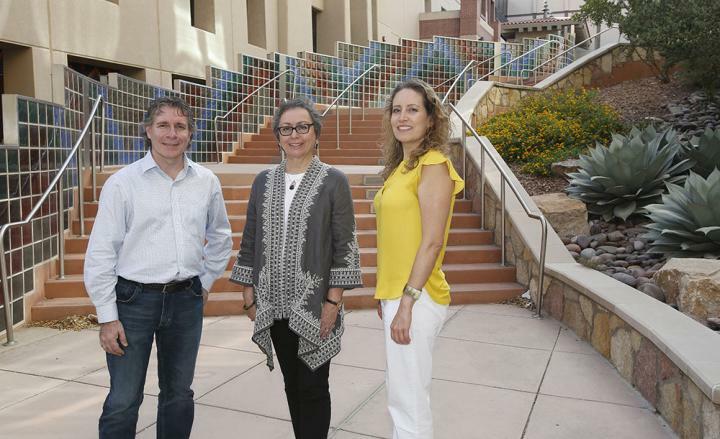 "The introduction of CAHSI INCLUDES means those of us who are passionate about student success and having a more diverse tech industry have the ability to work more directly with students," said Andrea Tirres, interdisciplinary network manager within UTEP's Office of Research and Sponsored Projects. "We are also partnering with administrators and tech leaders to really visualize what a long-term impact means for our communities and to act in a purposeful and informed way. There are a lot of differences in how we approach solving problems. What has remained constant with UTEP and what has remained constant with CAHSI is that we continue to expand and create pathways with administrators and with stakeholders to make our communities better." "We have so many similarities," said Enrico Pontelli, Ph.D., dean of the College of Arts and Sciences at New Mexico State University in Las Cruces, of the similarities shared by NMSU and UTEP as well as all other institutions that are part of the CAHSI INCLUDES initiative. "It's not just the students and the region. We have a lot of shared interests, in terms of research, education and outreach, and we are all striving toward the same goal – empowering Hispanic students to succeed in the field of computing. We are good friends. We are kind of like a big family. We get together, we're happy to work together, we share ideas. The nice thing about CAHSI is the continued sharing of ideas. We explore one practice, it works, and we share it with UTEP and the other institutions. And vice versa. It's not a competition, it's about working together."